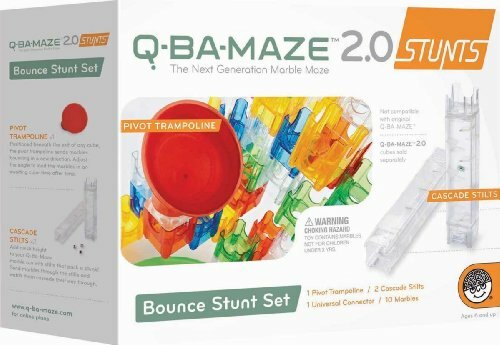 Q-BA-Maze Marble Construction Set Add to Flipboard Magazine. 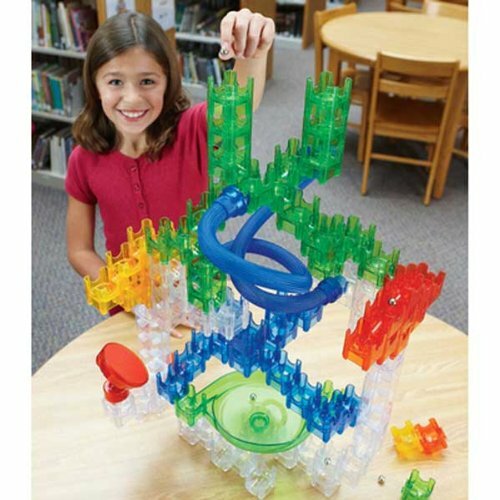 Do your kids love to put racing tracks together for marbles or small cars? They will flip for this Q-Ba-Maze. 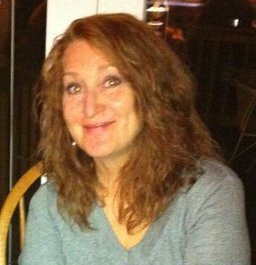 It is a collection of pieces that they put together like they want and then run marbles through it to see where they go. The pieces interlock in endless configurations, while double-exit cubes keep you guessing which way the marbles will go. Experiment to see what kind of zany, zigzagging action is possible! They will have a great time and also be learning. I love learning toys. This is recommended for ages 5 to 20. 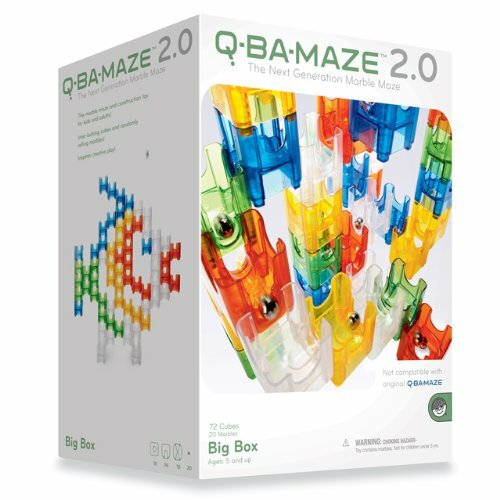 Check out this video by Mindware, the makers of Q-Ba-Maze. There are lots of sets, so let me try to help you figure out which one to get first. There is a basic set that you would want to start with. 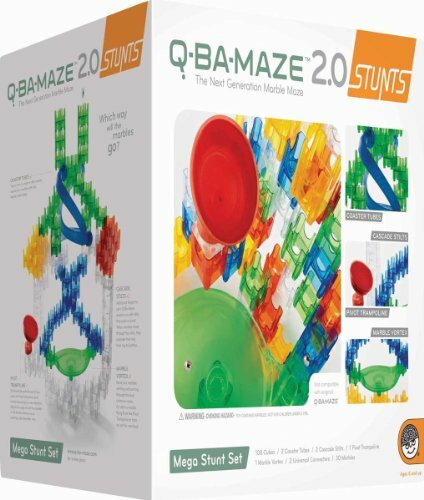 Then you can add things like the Stunt or the mega Stunt sets. Then there are extra pieces that just make it more fun like the Cascading piece. 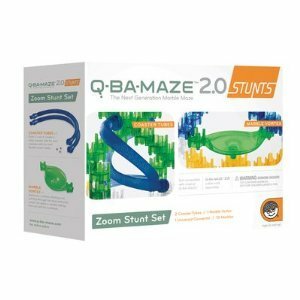 There are also the Bounce and the Zoom sets. But for now, start with the basic set to see if your child is interested. You can always add to it after that. This is a great toy for all ages and has won prestigious awards.